After a very long night out, with a lot of drinks and little food, we were not in any state to get up early. Yet, 8am, on the dot, I was awake and ready to go. My friend ended up sleeping a few hours longer, so I got some reading done to pass the time. When we were finally all packed up and ready to go, we made our way out into the bustling streets. Old Montreal on a late Sunday morning was far more crowded than the day before. Horse drawn carriages were looping around our block, cars were working hard to run over pedestrians, and the sidewalks were crowded with people gawking at every store front. It was a bit difficult to make our way through it all, but in the end we made our way back at our new favourite crêpe restaurant. 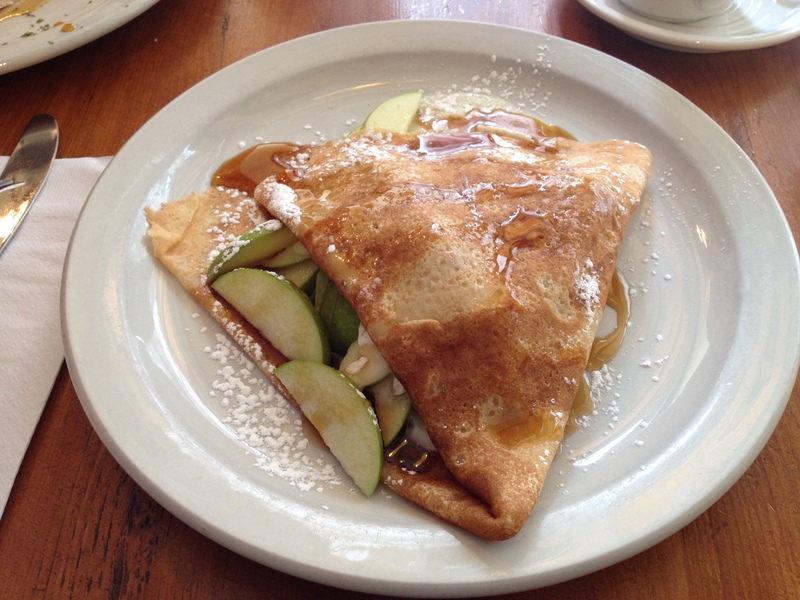 Honestly, these apple and brie crêpes were the BEST hangover food ever. The sweetness, the tanginess, the cheesiness! It was everything I wanted in a breakfast food at that moment. The only thing that could have possibly made it even better would have been a side of homefries. Sadly, this was not an option. After eating we both felt much better, so it was time to hit the road. We had a few stops to make, so we tried to time things to ensure none of the places would be closed before we got there. Unfortunately there was a tonne of traffic caused by some major construction, which meant we were scrambling to get in the door of both places. 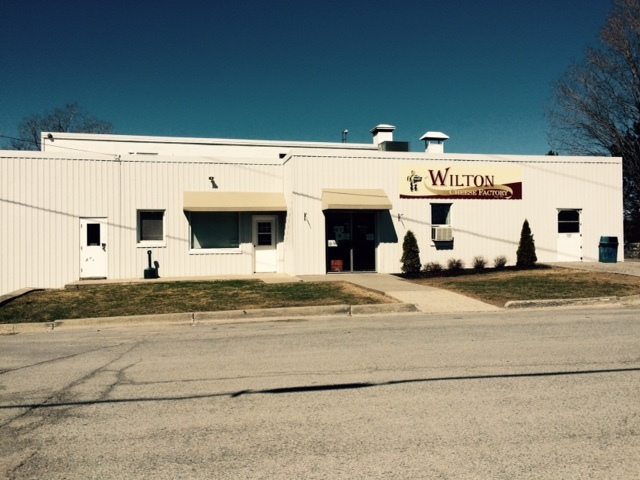 First we stopped at the Winton Cheese Factory for some amazing fresh cheese. It’s a bit overwhelming to pick from all the different types and ages of the cheese, but I ended up with some yummy gouda, 4 year old cheddar, an onion and garlic brick (mozzarella?) and some feta. It was only at the cash desk when I realized that there was even more cheesy items to choose from, but I figured I had spent enough money and we still had another stop to make! Our epic adventure in sitting in traffic continued, and I was beginning to think we would never make it to our next destination, when The Big Apple loomed before us. According to the website they are supposed to have cidery that opened recently, but our quick look around the store yielded nothing by non-alcoholic cider. Instead we grabbed a couple pies and some strudel and scrambled back to the car. Finally, after far too many hours in a car, we made it back home. I hadn’t even put my bags down before the family was asking me what we did and where we went, so I had to tell the whole tale before being allowed to unpack. It was fun, exhausting, and I would do it all again in a heartbeat. Would you believe that I’ve never been to the Big Apple, even though I grew up about 25 minutes away from there? I won’t tell you the horror stories of working there, it may ruin the pie! Lol, I can only imagine. I doubt working for any tourist trap would be great, especially one that deals with mass loads of food. I’ll gladly not know the gruesome details.